To avoid the worst effects of climate change, we must limit global temperature rise to 1.5C. Going above 1.5C warming could multiply hunger, migration and conflict. To avoid this, we need the UK to reduce greenhouse gas emissions to ‘net zero’ by 2045. This will mean Britain no longer contributes to climate change. CAFOD have begun their new climate change campaign with an invitation to all of us to play our part in renewing the earth. We need to work together to go further, faster to end climate change. Sign up and join members of our diocese for The Time Is Now mass lobby of Parliament on Wednesday, 26th June. (There will be a coach from Crawley, leaving at 9.00 am). Call on politicians to go further and faster with emissions cuts by signing the petition to be sent to the Prime Minister, calling on the government to get behind urgent climate action. Treat our homes with respect by leading the way, taking responsibility and forging new habits. 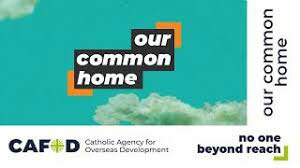 For ideas for actions take a look at CAFOD’s Live Simply Activity Poster: Reimagine Our Common Home. Please look at CAFOD’s Campaign Materials for more ideas on how you can play your part in renewing the earth. 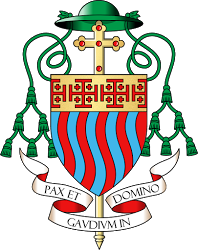 Pope Francis’ Encyclical, Laudato Si, On The Care for Our Common Home is available in the Abbey Bookshop or you can read a summary on the Care for Our Common Home page. Fr Robert Barron has written a short message and video about ways in which Western culture came to regard the natural world as a resource to dominate and plunder, rather than the Christian concept of a sacrament of God’s own beauty and goodness.